Showcase your favorite blooms and help them stay healthy with the Panacea Semi-Circular Plant Support. This versatile unit is perfect for use in your garden or landscaping, helping your favorite flower or shrub grow upright, and reducing stress on the root system. The two, 17" long legs stake into soil alongside your plant, and the 6" diameter semicircle at the top supports a significant bloom. 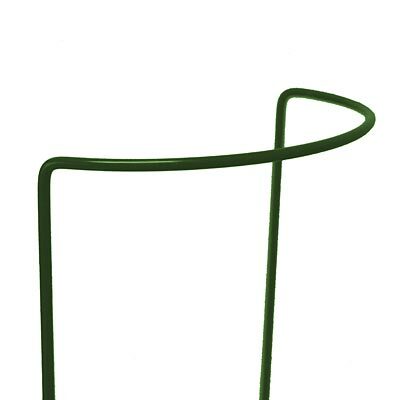 The metal body forms a durable brace, while its green color enhances your garden. Grow beautiful and strong plants with help from this Semi-Circular Plant Support. Made in the USA. Note: This case pack includes 25 of the Panacea Semi-Circular Plant Supports, 6" x 17".